Sometimes I feel like I’m not completely honest with you. Sure, I blather on a good deal about tartlets, quick breads and epic baking fails. I even post a few pictures of my travels from time to time or tell you when I haven’t shaved my legs. But I don’t always tell you how I feel about you. I don’t always tell you, dearest reader, how grateful I am that you are here. How your visits, your hilarious and sweet comments, your inspiring and encouraging e-mails make me smile and feel all the warm fuzzies inside. And if I can’t tell you all this at Christmastime, well then, when can I? So here it is: Thank you for being here. Thank you for being here to spend a few minutes with me. Thank you for sharing your experiences in the kitchen. Thank you for being so gracious and kind when I royally screw up a bread and make a salad out of it. Thank you for allowing me to turn this passion of mine not only into a career, but a way of life. Thank you for being wonderful. 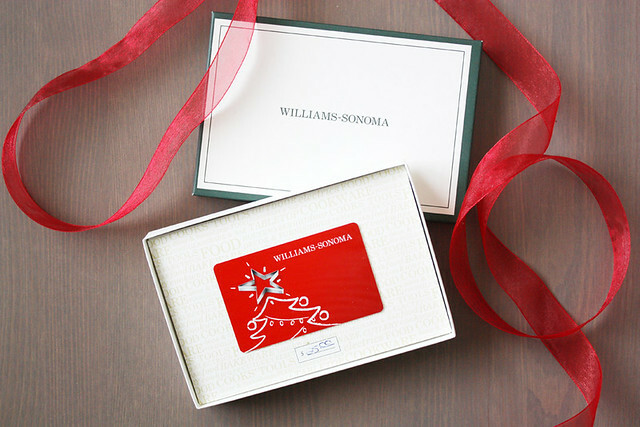 Now about this here gift card I’ve already taunted you with: Because ’tis the season for giving and I have a crush on Williams-Sonoma, I’m giving away a $25 gift card to one lucky, loyal reader. It’s pennies compared to how thankful I am for you, but I hope you like it. Use it to buy Mom that madeleine pan she’s always wanted, or your best friend this adorable apron. Or treat yo’self and get a little something sweet or savory (or both). Merry Christmas, everyone! And in case I haven’t been clear enough, THANK YOU FOR BEING HERE. You make this place super specialsauce. 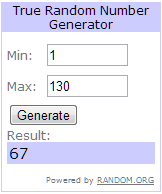 Here’s the giveaway rundown. To enter, leave a comment below answering the following question: All I want for Christmas is ________ ? 1. Follow Girl Versus Dough on Twitter. Tell me in a separate comment that you did so (or that you already do). 2. “Like” Girl Versus Dough on Facebook. Tell me in a separate comment that you did so (or that you already do). 3. Follow Girl Versus Dough on Pinterest. Tell me in a separate comment that you did so (or that you already do). And that’s it! Contest ends on Thursday, December 6, 2012 at 11:59 p.m. CST. Winner will be announced Friday, December 7. Update: Lisa is our winner. Thanks for playing, everyone! P.S. 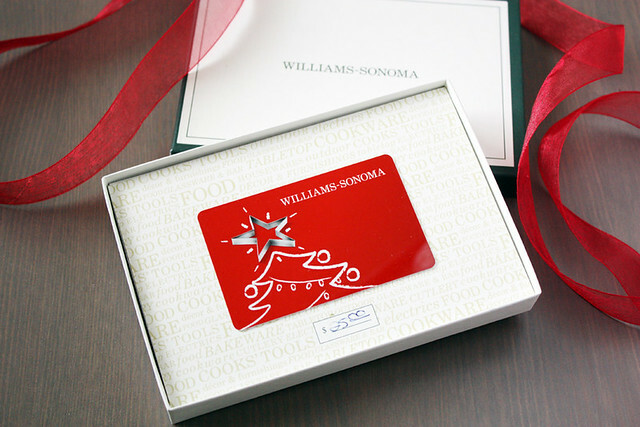 I was not given this gift card or compensated in any way by Williams-Sonoma for this giveaway. I just like them and you a whole dang lot and wanted to spread some holiday cheer. A few days to relax with my family! Time to relax with my husband and pups! a day with close family, good friends, and delicious food. To hug my neices and nephews that live 5700 miles away. Snow on Christmas morning and time with family. a getaway with my husband! All I want for Christmas is a bread cookbook! A dinosaur. Let’s be honest here. And lastly, I liked you on Facebook too! Just spending time together as a family. I also just liked you on Facebook. The health of my parents. Would love to be able to spend the Christmas day with my granddaughter – her first Christmas!) but she lives 2500 miles away. I like Girl Versus Dough on Facebook. All I want for Christmas is a KitchenAid mixer. And life is unfair; I’ve been entering competitions to win one for weeks and the world has decided it’s just not my turn yet. Tell me, is life better with a dough hook? p.s. Beautiful blog! Stumbled across it recently but you’re now firmly nestled in my Google Reader blog collection. nothing – silly to want things even simple things like a caring family – when one knows that it is not possible. I would love a new pair of boots! To make fruitcake and sit by the fire! All I want to Christmas is to have fun spending time with my family–and for them to have a great holiday, too. All I want for Christmas is a kitchen aid mixer! A family dinner that lasts and lasts and lasts. to be happy with my family and friends! I follow you on twitter @deegee13. Kitchen Aid Mixer and my Husband home! A couple days of sunshine. That would be a great Christmas present. All I want for Christmas is for my family to be healthy and the kids to be good! thanks! 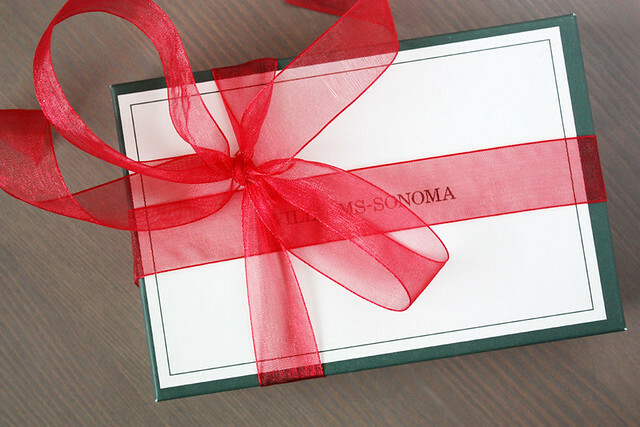 All I want for Christmas is…cookbooks and board games! A quiet day with hubby. to be home with my family AND superga sneakers! The Alexander McQueen: Savage Beauty book from the exhibit at the Met in 2011! You’ve just been “liked” on Facebook! All I want for Christmas is my family to be together! A full night’s sleep and home-made croissants in the morning (thanks for the recipe–it’s still on the “must try” list). First part is highly unlikely on Christmas Eve, and moderately unlikely at any other time, with a 6-year-old in the house; second part is definitely happening this xmas! All I want for Christmas is a full nights sleep….and a new spatula! peace and patience. If someone could bottle and sell that stuff, I’d make them millionaires. In the meantime, I’ll take pie! … for my husband to deploy *after* the holidays. Already following on Twitter (@squirrelbread). Following a board on Pinterest. A vacation with my love! A relaxed day, free of worry. All I want for Christmas is an indulgent day spent with family! The time we spend together is the best gift. To help my mom make a Smith Island cake and have it turn out perfectly! All I want for Christmas is for my daughter to get everything she wants! All I want for Christmas is a puppy (I love animals and have held off so long getting one…I’m getting one in the next year but getting a Christmas pooch – and getting it earlier than expected – would be so great 🙂 ). Love your site and thank you! I want to relax for Christmas. Maybe a spa weekend! a fire bread oven in the kitchen! All I want for Christmas is a new cookbook! All I want for Christmas is quality sleep and yummy food!